Jean Welch Hill, Democratic challenger to Republican heavyweight Mark Shurtleff, believes it’s time she took over as the state’s attorney general. Hill counts many reasons why she should get the seat, including Shurtleff’s courtship of the payday-loan industry and his conflict of interest in investigating the alleged bribery charges of political ally Mark Walker in the treasurer’s race—and now she can count at least 50,000 more reasons. That’s one for each dollar Shurtleff accepted in campaign donations from Jeremy Johnson, president of the St. George company IWorks. While Shurtleff maintains that he only knew Johnson from meeting him once at a fund-raiser last March, several attorneys at the attorney general’s office have known of Johnson for much longer. That's because they'd been involved in taking legal actions against his company for more than a year for allegations of fraud. Shurtleff maintains he had no knowledge that Johnson was under investigation by the Department of Commerce and had faced charges filed by assistant attorneys general (ed. note: this sentence has been corrected to indicate the roles the agencies played in the enforcement action). He says the only connection he shares with Johnson was support for the Utah “lost boys” group, a charity that helps displaced former members of polygamist communities. Shurtleff was impressed that Johnson had donated a home to the cause, known as the “house off of Bluff” in St. George. 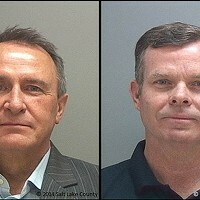 “We just talked about the lost boys, really,” Shurtleff says. 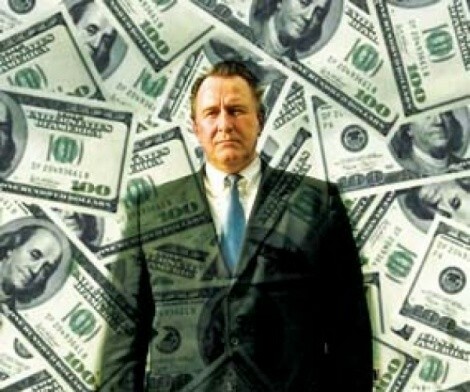 “Clearly, there was no conflict.” A few days after this casual meeting at a John McCain fund-raiser—on March 21 and 27, 2008—Shurtleff received two $25,000 donations from Johnson making up nearly a third of Shurtleff’s $161,625 campaign war chest. Johnson failed to mention that last July—about the same time he generously financed the building of the “house off of Bluff”—he had also been served with citations from the Utah Division of Consumer Protection for 49 counts of charging a consumer for non-consensual transactions and for six counts in violation of the Telephone Fraud Prevention act. These charges were brought on behalf of the state by Jeffrey Buckner of the Utah Attorney General’s Commercial Enforcement Division. All charges revolved around Johnson’s company IWorks which court documents alleged offered a service selling a kind of “how-to” program for people seeking government grants. Individuals signed up for free information only to find that they were being charged for what they considered to be hidden monthly fees. Complaints alleged a frustrating runaround as different grant “coaches” would redirect customers’ questions and promise to compose business plans for them. Many individuals’ phone calls weren’t returned and several were denied refunds, according to documents. The case saw motions flying back and forth between IWorks’ attorneys and the attorney general’s office throughout the summer and up till December of 2007. The case was dismissed after IWorks argued that some sales tactics were perhaps aggressive but not criminal and that the transaction charges were not deceptive but rather cases of some customers failing to read the fine print. Shurtleff was unaware of any of this when he met IWorks owner Jeremy Johnson three months later and received $50,000 in campaign donations. “There was never anything nefarious going on—I never knew he was under investigation until now,” Shurtleff says. Jeremy Johnson did not respond to numerous phone calls made by City Weekly seeking his comments. Shurtleff says with contributions from unfamiliar sources, he usually does an Internet search and maybe checks with his office but says nothing came up on his radar with IWorks. But that’s not to say Johnson has always been off the radar. In 2001, he was busted by the Securities and Exchange Commission for allegedly running a Website called RumourSearch.com that gave subscribers tips on stock trading. According to SEC allegations, Johnson had received 95,000 shares from a company that he touted as a hot tip on his Website, and then sold his stock for a $315,848 profit. In a settlement, Johnson returned profits and paid a fine without admitting to or denying the allegations. For Hill, the issue is about running the attorney general’s office by an ethical standard. “The key is that, if you are getting a large contribution from somebody, you should know who they are,” Hill says.